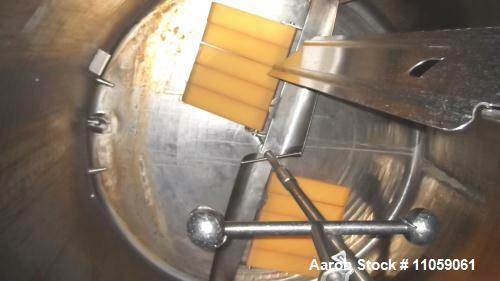 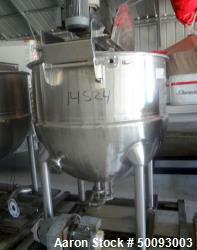 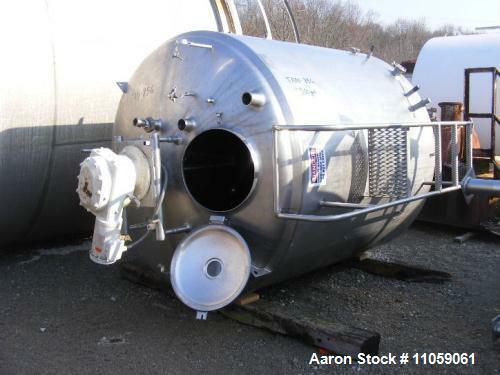 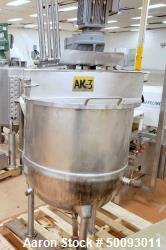 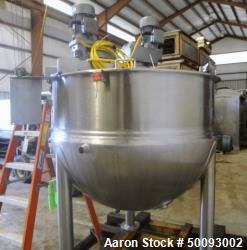 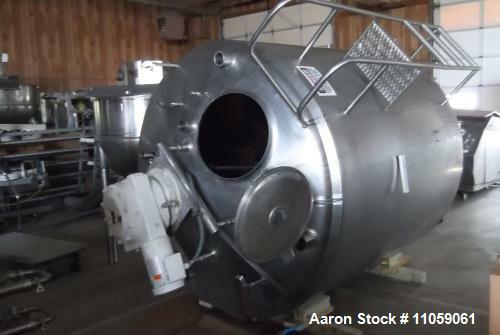 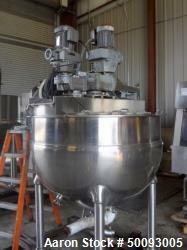 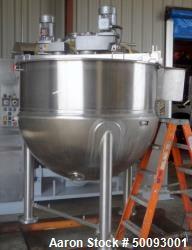 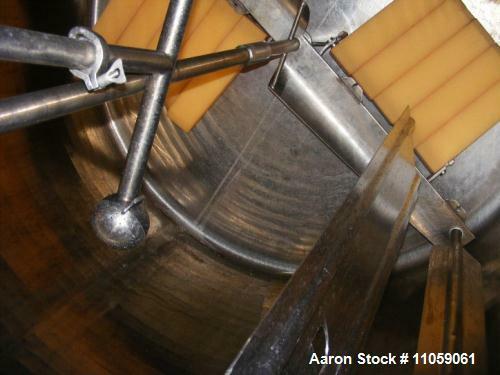 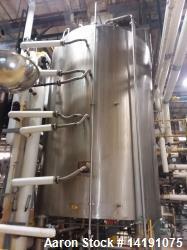 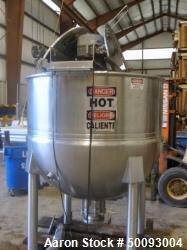 Used- 1,000 Gallon Jacketed, Cherry Burrell Stainless Steel, Insulated Mix Tank. 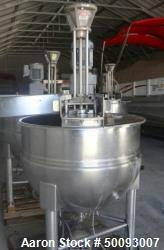 Model CB 85-90. 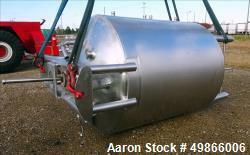 Jacket rated 100 PSI @ 350 Degrees F. Agitation is side swept with bottom scrapers. 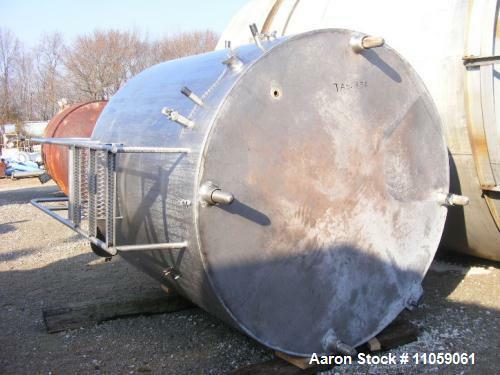 74” tall x 6’ deep, 75” outside diameter, 116” overall height. 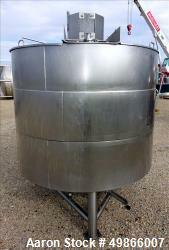 Inverted cone bottom, dished top, 3” side bottom discharge, with baffle and CIP balls, inlets top (5) 1.5"-3”, with stainless steel ladder, 22” top manway. 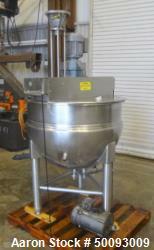 3 Hp motor.